IOSi caters to a unique array or multinational engineering, manufacturing and high-tech firms across the world. With more than 100,000 endpoints across 30 countries, we have worked tirelessly to establish ourselves as a trusted global solutions provider. Engineering and manufacturing firms world-wide depend on IOSi to keep critical systems; including advanced machinery and state-of-the-art production lines, running always. 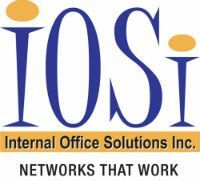 With clientele spanning more than a dozen industries, IOSi brings the experience and confidence you expect for your operation, whether large or small.